This is the time of the year when our sunsets are a vibrant orange that when accompanied by high thin clouds are often followed by red, yellow, violet and pink watercolors as the orb dips below the horizon. At dawn the pattern is reversed. The days are growing longer while shadows shorten as the sun moves back over the Northern hemisphere; darkness now has to wait until after 6:00 PM. It's still often quite cold as we are in the middle of winter, but even single digit temperatures can't stop the midday sun from providing warmth and the promise of the season of rebirth that lies ahead. And barring any mid-winter spates and runoff, our rivers tend be the clearer than at any other time of the year. With the trees bare and the riverbank shrubs and grasses dried and brown with the tips of their stalks arcing downward, the brightening sun penetrates the water easily, providing energy to the aquatic invertebrates that forage among the rocks, stones and clumps of dead leaves and other decaying organic matter. And the trout, too, also seem to draw energy from the sun, moving to and fro feeding more frequently as the water "warms" a few degrees as the afternoon wears on. There is no need for the angler to get on the water early in the day as most often the best time to wet a line is afternoon into dusk. Today, before the sun disappeared behind the clouds and snow started to fall, I went down to the river to eat some lunch and walk its banks. Just after noon the sun was bright and warm, the air chilly at 38 degrees F with a steady light breeze that rattled the dry leaves still stuck the branches of young oak trees. After eating, I pulled rocks and grabbed bunches of leaves from the shallow edges of the stream to examine them for life. I found a few caddis cases clinging to the rocks along with small mayfly nymphs too tiny to identify them. In the submerged leaves I had better luck finding bugs. There were lots of scuds, a few stonefly nymphs and in some places I found hendrickson and sulphur nymphs, Ephemerella sp. I also found a single Chimarra sp. 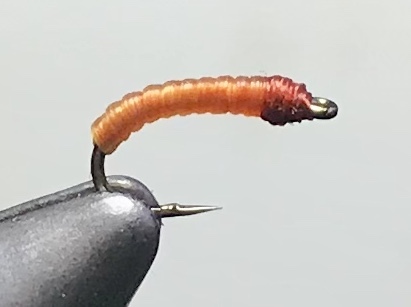 caddis larva, easily identified by its bright orange body and brown head in a size being that of a typical #18 scud hook. This was a surprise because these free-living brightly colored larvae are normally found in moderate currents among the gravel and stones, not along the edge of the river. I didn't see any little black stonefly nymphs, but I know they are there in the faster currents and pockets, as several friends have been seeing them along the river for the last couple of weeks. It's a great time of the year to get out on the water. 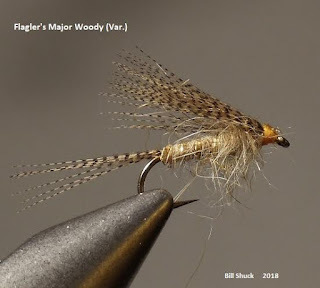 The fishing is fairly simple with a well fished nymph and low expectations usually making for a quiet day on the water and a few fish to hand on an average day. 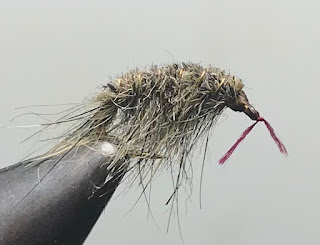 As for what to to fish, start with your favorite nymph or pair of nymphs and get them down near the bottom where the fish hold and aren't going to move too far to take a potential meal. Or you can match the subsurface "hatch" by using patterns that mimic the flies I mentioned above. 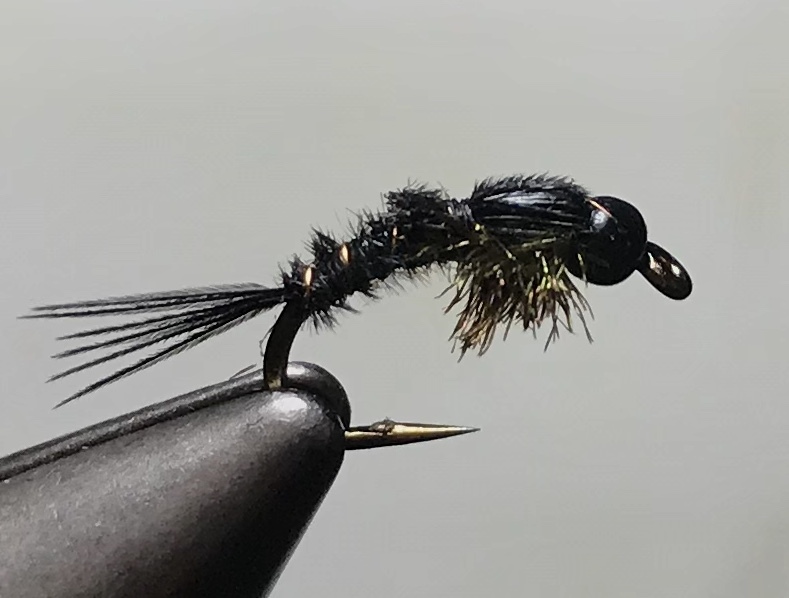 The little black stoneflies are abundant and active, and can be imitated with a black pheasant tail nymph, or a black hare's ear nymph. 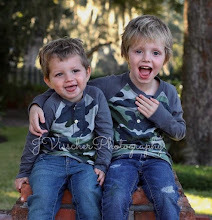 The key is to have a pattern that is very slender like the naturals. Here's my black p-tail nymph with a small bead head. 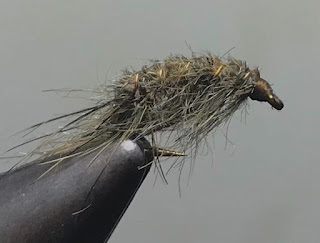 The chimarra caddis larva are very available to the trout from now until late March when they hunker down on a rock, form a case and begin the process of metamorphosing into a little black caddis to hatch in early May. And finally there's the scud. Scuds are very abundant and available throughout the year in our waters. Trout recognize and feed on them every chance they get. I wouldn't fish NJ or PA waters without them, as they have saved an otherwise slow day on the water many times for me over the years. Here's an unweighted scud. When wet, the loop dubbed body and "legs" turn translucent much like the naturals. And here's one weighted with .010 wire. I tie a piece of 6/0 claret thread to the hook eye so I can easily identify it as weighted. And now for something completely different.......from Frank Surdal. Here's a very buggy wet fly/emerger trout pattern tied by Tim Flagler using woodduck and woodduck colored materials.